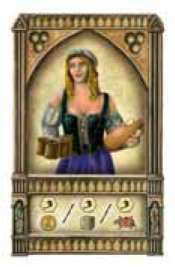 When hiring the hostess, players take 3 prestige points and either 1 gold coin or 1 influence marker from the supply or move their rat marker one space back. 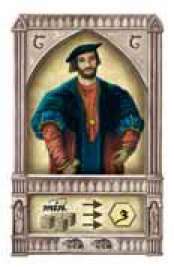 When hiring the money lender, players take 2 gold coins and 1 prestige point from the supply. 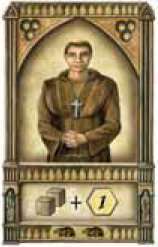 When hiring the monk, players take 2 influence markers and 1 prestige point from the supply. 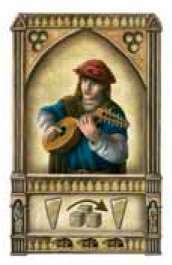 When hiring the minstrel, players move 1-3 influence markers (eventually including their trusted friend) from any one sector to any one other sector in their borough (not Notre Dame). 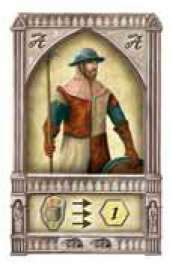 Players do not execute the action associated with the new sector. 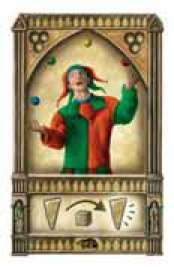 When hiring the fool, players move any one influence marker (or their trusted friend) from a sector or Notre Dame to any other sector in their borough (not in Notre Dame!) and executes the corresponding action. Example: Peggy hires the fool. She moves 1 of her influence markers from her bank to her carriage house. Since she already had 2 influence markers there, she can now move her carriage up to 3 marketplaces and take the message she finds there. 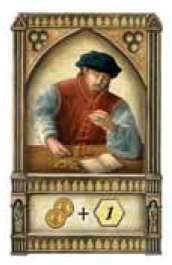 When hiring the doctor, players reduce the plague value for themselves only for this round to 0, regardless of its calcu- lated value. If players have influence markers and/ or their trusted friend in their hospital, they move their rat marker back on the rat track as many spaces as they have tokens in the hospital. 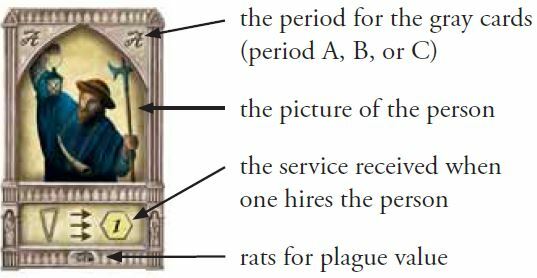 Example: The plague value is 2 + 3 + 1 = 6. Mike hired the Doctor this round and, thus, reduces the plague value for himself to 0. As Mike also has 1 influence marker and his trusted friend in his hospital, he moves his rat marker back 2 spaces from space 7 to space 5. If he had not hired the Doctor, he would have had to move his rat marker past space 9 (7 + 6 - 2 = 11) and to take the penalties associated with that move. 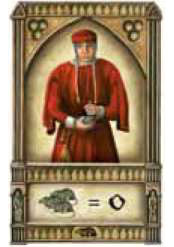 When hiring the city guard, players take one prestige point for each influ- ence marker (and their trusted friend) in each of their 7 sectors and in Notre Dame. When hiring the night watchman, players take one prestige point for each empty sector in their borough. To be empty, a sector can have no influence markers and no trusted friend. The harbor and Notre Dame are not included. 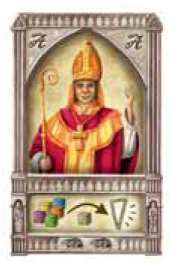 When hiring the bishop, players take one influence marker from the general supply, and place it in any empty sector in their borough (not Notre Dame) and execute the corresponding action. 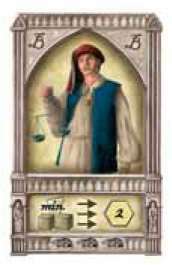 When hiring the guild master, players take two prestige points for each of their seven sectors (not including Notre Dame) where they have at least two influence markers (including their trusted friend). 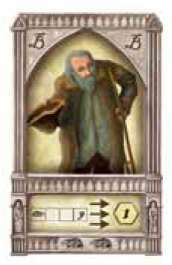 When hiring the beggar king, players take one prestige point for each space beyond their rat marker. 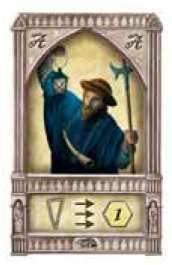 Example: Leo's rat marker is on space 4 of his plague track. He earns 5 prestige points (for the five spaces 5, 6, 7, 8, and 9). When hiring the advocate, players take three prestige points for each two messages they have collected so far. Example: Peggy has collected 5 messages. She earns 2 x 3 = 6 prestige points. 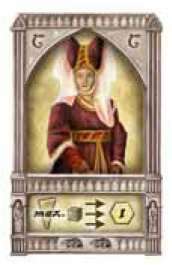 When hiring the Lady of the Court, players take one prestige point for each influence marker in the sector in their borough that has the most influence markers (including the trusted friend). Example: In both Anna's carriage house and her guest house she has 5 influence markers, which tie for the most in any sector. Anna earns 5 prestige points. 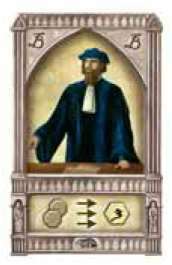 When hiring the mayor, players take three prestige points for each of their seven sectors (not including Notre Dame) in which they have at least three influence markers (including the trusted friend). 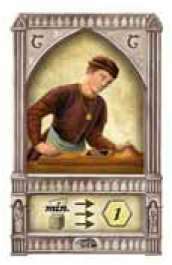 When hiring the carpenter, players take one prestige point for each of their seven sectors (not including Notre Dame) in which they have at least one influence marker (or trusted friend).